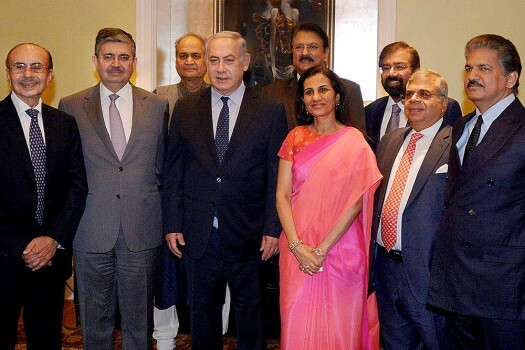 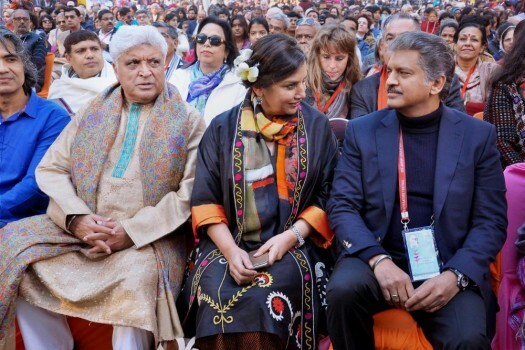 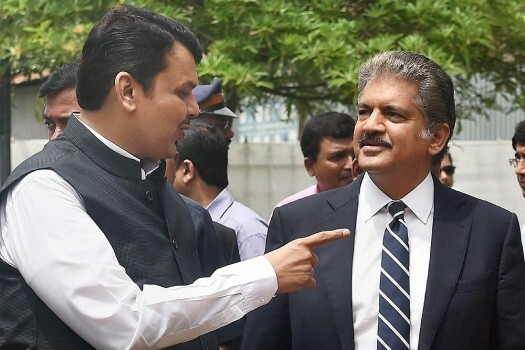 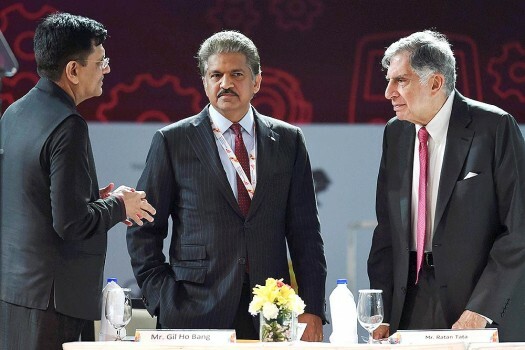 Railways Minister Piyush Goyal with Anand Mahindra and Ratan Tata during the opening ceremony of the Magnetic Maharashtra Convergence 2018 in Mumbai. 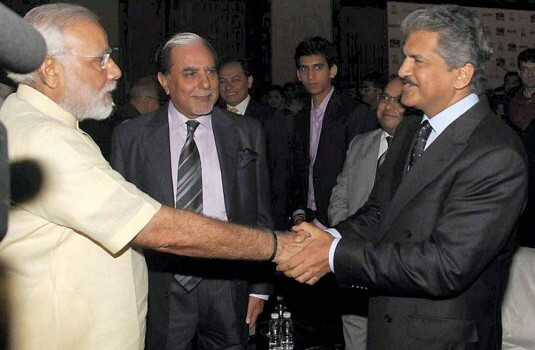 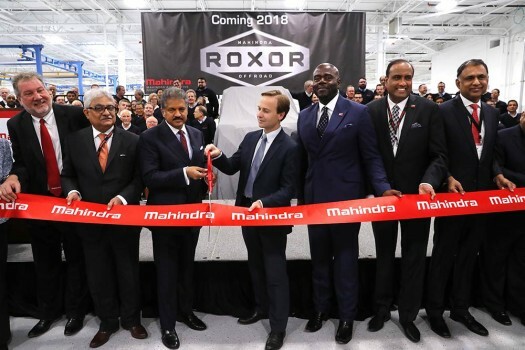 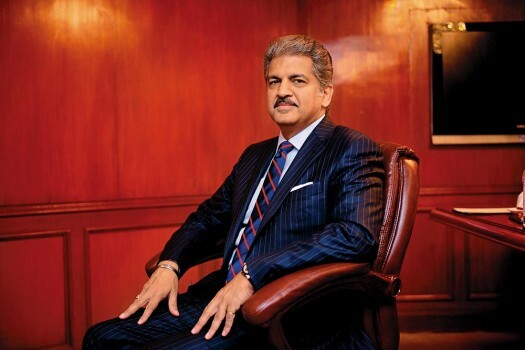 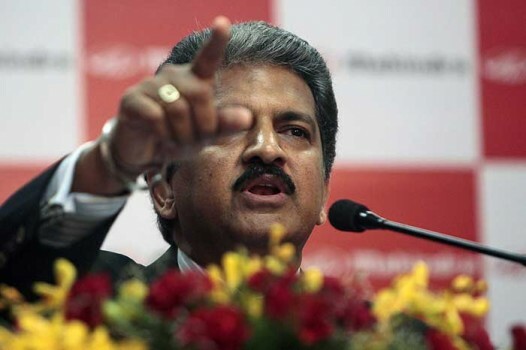 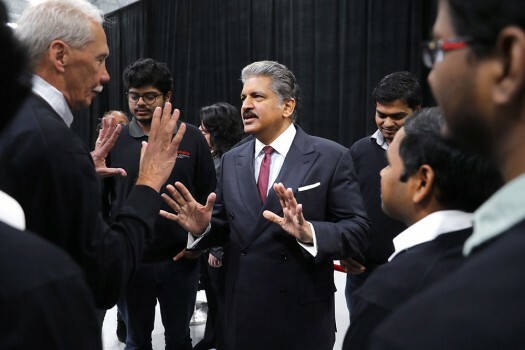 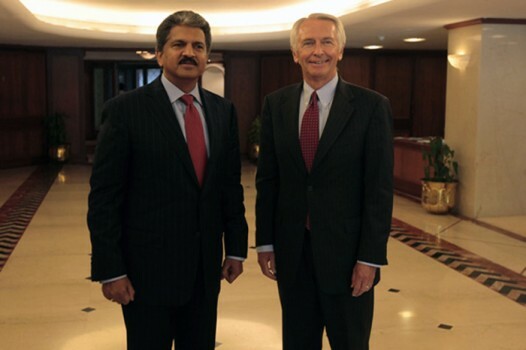 Mahindra Group Chairman Anand G. Mahindra, center, speaks with employees in Auburn Hills, Michigan. 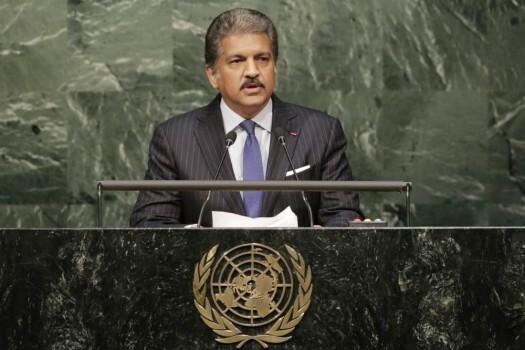 Businessman Anand Mahindra of India speaks prior to the signing ceremony of the Paris Agreement on climate change at U.N. headquarters. 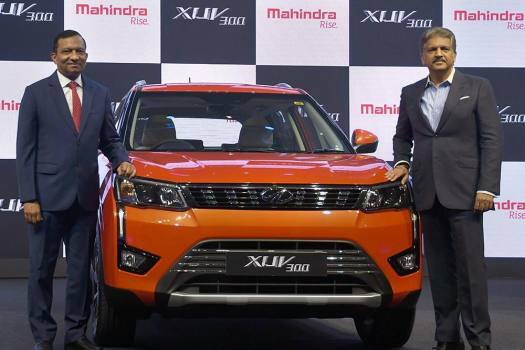 Prince William, Duke of Cambridge sits in a car simulator as Catherine, Duchess of Cambridge watches him during the launch of 'Tech Rocketship Awards', in Mumbai. 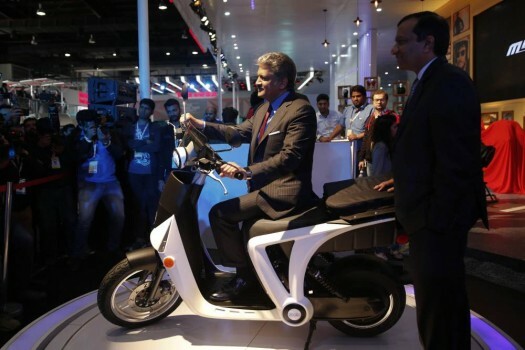 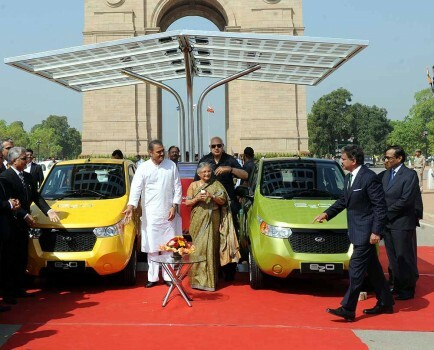 Anand Mahindra, Chairman of Mahindra & Mahindra poses on GenZe 2.0 electric scooter at the Auto Expo in Greater Noida. 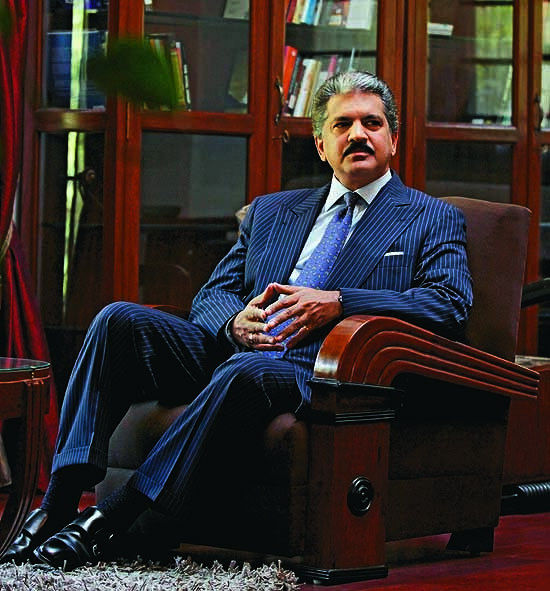 'We Have The DNA To Survive"